Bursts of color from hundreds of wildflower species are one of the park's simplest joys, found right outside Estes Park. 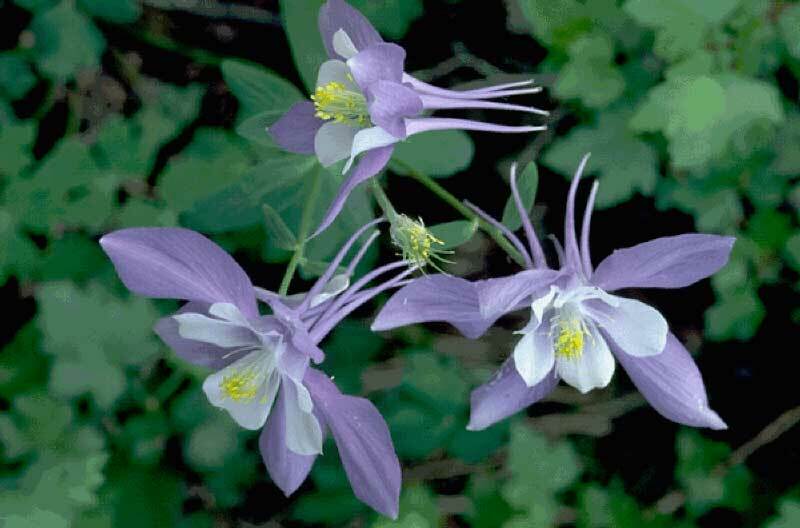 The columbine is one of the most popular flowers in Colorado. The state flower has a variety of complex hues and symbolizes wild beauty. These flowers are coy, but the search is well worth it. The bloom has five pointed outer petals with deep blue/purple hues and five white inner petals. These flowers can be found in tricky areas such as the alpine tundra, tucked in crevices between boulders around August — yet they can also be found in montane and subalpine climates during June. If you stick around these flowers long enough, you may see hummingbirds, butterflies and bees who like to snack on their delicious nectar. This pink flower is part of the Snapdragon family and is known for two petals that resemble ears of an elephant and an additional growth that looks like the upturned trunk of an elephant. This "trunk" serves as a crucial pollination tool: insects tend to land on the extension and the flower slaps pollen on them with its stamen. These flowers are often found in wet, marshy areas in clusters. They also grow in small patches, often around Crystal Lake, but make sure to look closely at the individual flowers to see if an elephant is peering back at you. The Mountain Iris is a gorgeous independent flower that has an appearance all its own. The light-blue petals have deep purple veins that trickle down from yellow/white petal bases. This flower seems to bloom in and around varying forbs and grasses and has been spotted in Moraine Park. It often appears as an explosion of color in moist meadows that often host golden banner, aspen daisies and Rocky Mountain Pussytoes. The Woodlily is often an attraction that draws wildflower enthusiasts to the park. Woodlilies have six red and orange petals that may host purple spots and hues, and often hold two to three blossoms on a single stem. However, the quest to find this flower is becoming ever more difficult. If someone were going to look for this rare treasure, the more moist, willowed areas in the montane ecosystem would be the place to look for this vibrant pop of color. This particular flower is another very popular blossom that is often sought out. Also known as they Calypso orchid, this plant gets its name from the shape of the bloom, which looks like a tiny slipper. Gorgeous light pink hues, deep zebra-like striped colors and bursts of yellow stamen make this flower one of Rocky Mountain's most beautiful. Most recently, this has been spotted on the west side of the park along the Adams Falls trail. Although these are some of the showiest flowers in Rocky Mountain National Park, there are many other species that can be found in a variety of areas. The best way to identify flowers is to observe their leaf rotation, petal shape and size, color, stamen and the environment they grow in. For example, one of the most abundant flowers in the park presently is the Golden Banner. This flower belongs to the legume family and grows in long-stemmed, yellow flower clusters. You could also identify this flower by the three-parted leaves, also known as being palmately trifoliate.Yet, one of the best resources is a wildflower identification pocket book that provides pictures and detailed descriptions. The Rocky Mountain Conservancy sells the regional bestseller, Rocky Mountain Wildflowers Pocket Guide by David Dahms, online and in various conservancy stores. If you are interested in discovering these, and many other gorgeous wildflowers, the Rocky Mountain Conservancy has a wide variety of field classes where you can do exactly that.